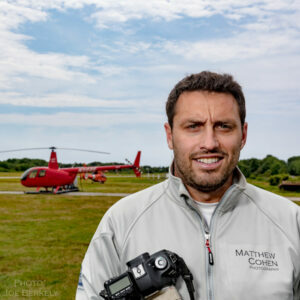 "Every work of art sold in the last 15 years has been personally signed by Matthew"
Matthew Cohen is a professional nautical photographer who has over 15 years of experience. He has repeatedly been printed in over 30 maritime publications. Many clients, corporate and private, have hired Matthew to capture yachts, regattas, and exclusive locations. He has been showcased in over a dozen galleries, shows and retail spaces. Matthew Cohen Photography has been commissioned by over 40 organizations, companies, schools and associations since 2002. Cohens photos capture your eyes and heart! They take you to a time and or place you may never experience. From the top of a mast to the beaches of a tropical island the unconventional perspective of Matthews photos transport the viewer. Matthews photos capture ordinary scenes that become extraordinary focal points.